​Meet Yuju​, a member of the group GFriend. According to Mashable, during a recent live performance, she managed to slip and fall eight different times during their four-minute song. Already saddled with a knee brace, poor Yuju didn't let a little thing like taking a huge dive (eight times) in front of thousands of people keep her down. Yuju got up each and every time and jumped back into the choreography. Because as the old saying goes, the show must go on. 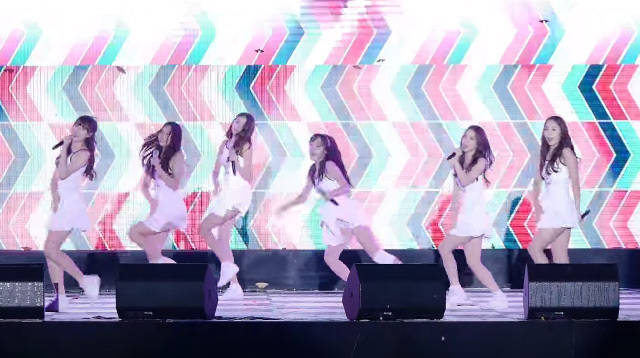 When her bandmate SinB also fell (bringing the grand total of falls to nine), I wonder if she felt a sigh of relief that it wasn't her that time?